San Francisco’s hotels are facing a serious problem. The city’s idyllic image of the Golden Gate bridge and grandiose views of the bay are being replaced by concerns about needles and feces littering the streets, homeless citizens sleeping on sidewalks or in Bay Area Rapid Transit stations and aggression toward visitors by people with untreated mental illness. Visitors are noticing and rethinking booking events and vacations at hotels around the city. San Francisco’s homeless population was down by 0.5% in 2017 compared to 2015, but is about 17% higher compared to 2013, according to SFist. While homelessness is nothing new for the city, hoteliers and local business say street conditions have worsened. 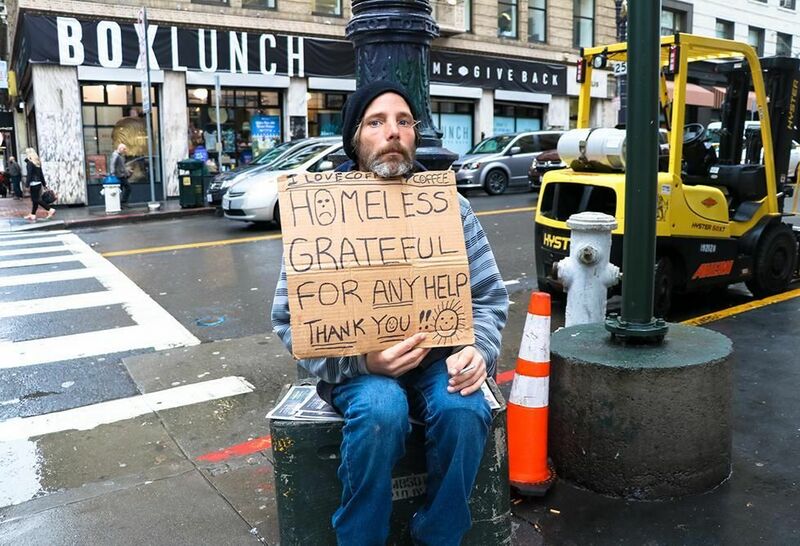 Within 153 blocks in downtown, there were over 300 piles of feces, 100 drug needles and trash on every block, a recent report by NBCBayArea revealed. Complaints of poor street conditions to 311 have skyrocketed in recent years. In 2016, 311, a city agency where visitors and residents can report issues or seek information about the city, received 44,000 complaints of encampments, human waste and needles, up from 6,300 complaints in 2011, according to the San Francisco Chronicle. “[Visitors] are noticing it and hearing about it and saying, ‘well, why would I bring my conference here?’” Hotel Council of San Francisco Executive Director Kevin Carroll said. Visitors often have rave reviews for the local restaurants and hotel service, but say they will not come back or will not bring their families here, he said. San Francisco is not the only major West Coast city dealing with issues of homelessness and street conditions impacting tourism and hospitality. Anaheim, home to Disneyland with its spotless, litter-free Main Street, U.S.A., has the stark contrast of homeless people who live just outside the park. The city has been looking into ways to help its homeless population, such as providing emergency shelter and employment opportunities. Honolulu also took action in recent years on cleaning up the streets, including around its popular Waikiki area.